Sand tray therapy allows the client to express, without using words, the trauma that he or she experienced. Sand tray therapy, which may also be known as sandplay therapy, is a unique approach to expression of emotions, thoughts and feelings. Although this therapeutic approach is often used with children it is equally effective with adolescents and adults. It is a very relaxing and comforting way for the client to make a visual representation of any type of situation, from an internal conflict to exploring their relationships with others. With sand tray therapy the client is presented with a tray or box, which can be a small or large space, as well as coloured sand and miniature toys. These toys can be selected by the individual and may be used as literal representations or as metaphoric or abstract representations. This will be entirely up to the individual. The client uses the coloured sand, miniature toys and structures to create a scene that expresses the issue or issues that are posing a challenge in life. Water is often included in the therapy and can be incorporated to make sand structures or to create areas that represent specific issues in the client's life experiences. 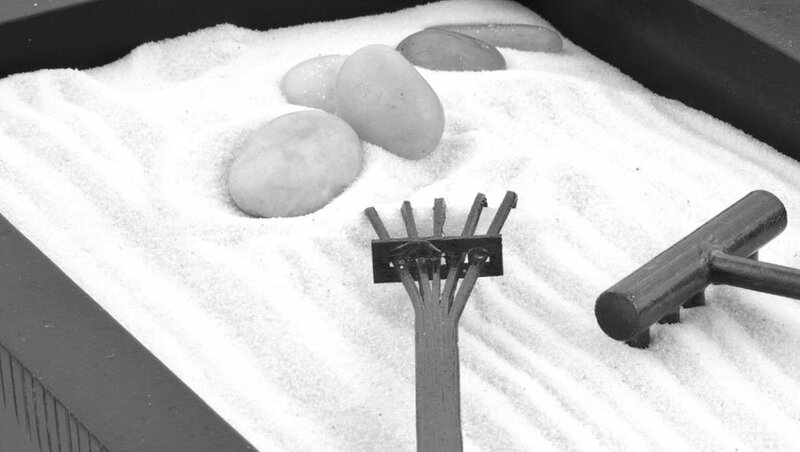 This type of approach is known as the world technique, where a representation of the client's world is created in the sand tray. The client is not required to talk about the miniature world in the sand tray, but rather to look for relationships between the representation they have created and their thoughts, beliefs and ideas. With sand tray therapy the client does not have to verbally express the complex issues they are experiencing in order to find the solutions they are seeking. The very act of creating their world in the sand tray will lead to solutions that will be successful for the client. In situations, often with children, where the client has been exposed to abuse and trauma sand tray therapy allows the client to express, without using words, the trauma that he or she experienced. With the calming and soothing nature of play and the common elements of sand, water and miniaturised toys, the child feels comfortable in demonstrating the trauma and processing the experience in a non-threatening way. In sand tray therapy the therapist does not suggest or create the solutions, rather the client is able to try various scenarios, in the sand tray, until he or she discovers the option that they understand will be an effective way to process or cope with the issue in the future. There is no threat since anything can be changed at any time, removing fear of failure or fear of having to vocalise intensely personal issues. A trained and experienced sand tray therapist will assist and guide the client by making slight changes in the arrangement of objects in the sand tray to reflect other options or create positive change. This can be combined with a range of different therapeutic techniques including art therapy, the use of music and storytelling, creating a meaningful narrative for the client and supporting the changes the client makes in his or her life through the process.